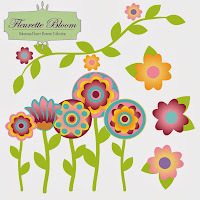 If you've flown over from Tanya's blog then you've joined the parade, but if you've stumbled on this hop and want to begin with the first stop, soar over to Fleurette! 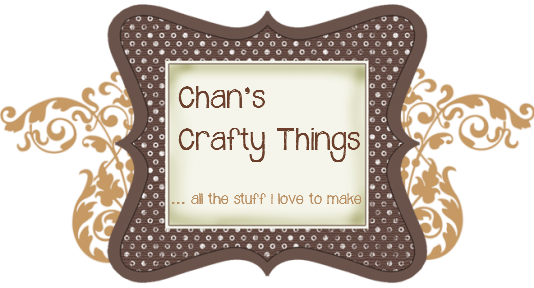 Not us gals.........so grab your favorite beverage and settle back for some crafting inspiration for just the right touch of class! 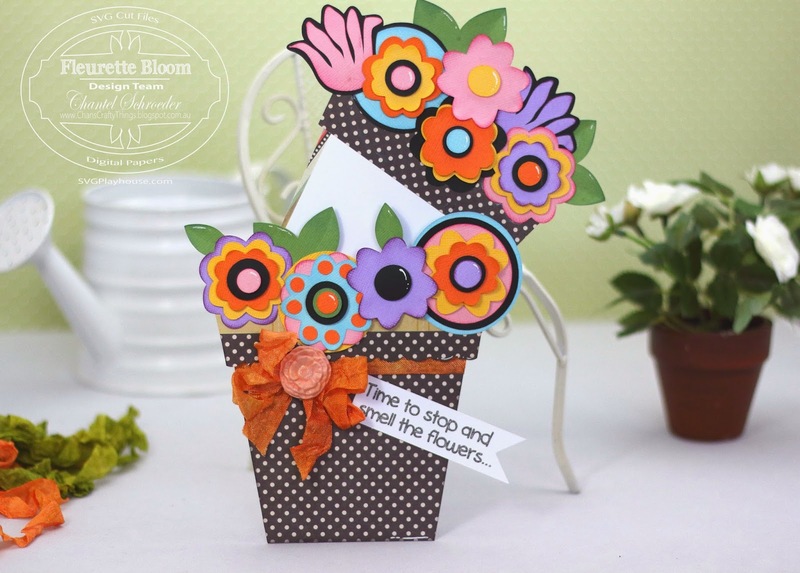 For my hop project, I decided to make this cute little flower pot card. 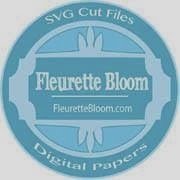 The flower pot is from the Pot-O-Daisies SVG Cutting file. I cut the base of the flower pot a total of four times. 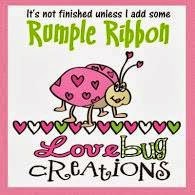 I cut two at the normal size and glued the sides and bottom together to make a pocket. 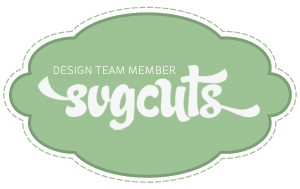 I then cut one a bit smaller (just so that it would fit into the pocket nicely) for the card itself. To allow for a space to write a note, I added a fourth cut in plain white to the card. Here's a screenshot of all the pieces I cut for the pot and card base. 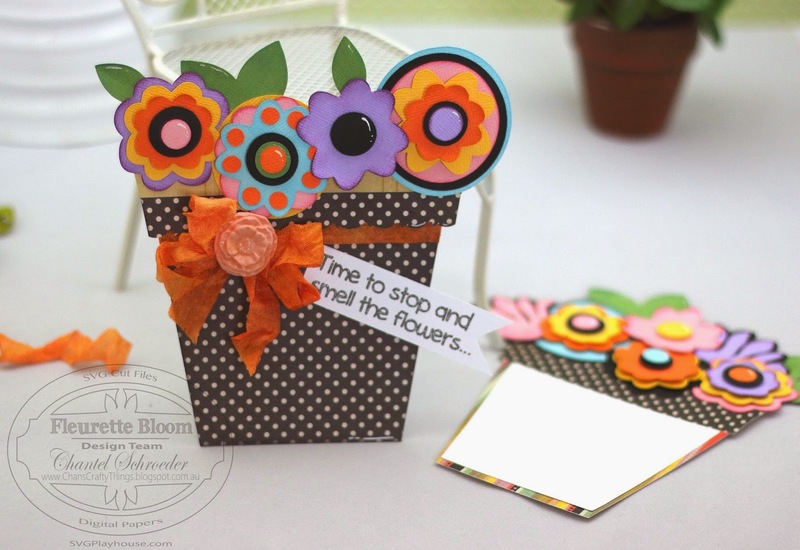 I then cut out a whole bunch of the flowers from the Bohemian Flower Element Collection in a bunch of different colours and assembled some on the pot base and some directly onto the top of the card. 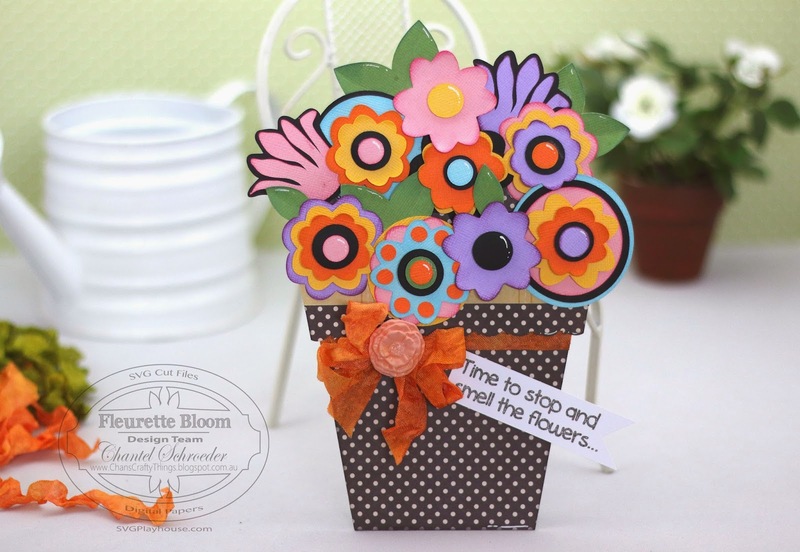 To decorate my flower pot, I used the Sunset Rumple Ribbon from the Island Breeze collection to make a bow and finished it off with some Beautiful Blooms from LoveBug Creations. 3. 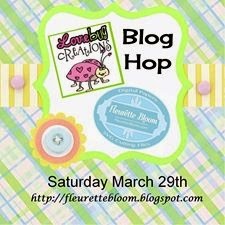 For extra chances to win like our Facebook Pages and leave a comment at Fleurette Bloom Designs and LoveBug Creations. For your next touch of class, please visit Christine!